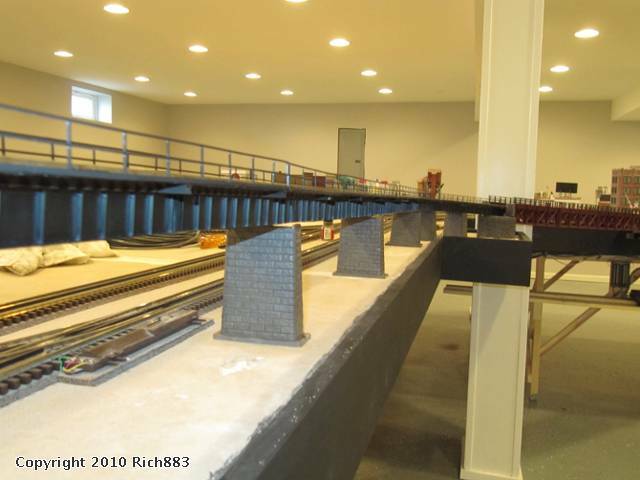 I had to cut a corner arround a support post and climb up an incline to get to an elevated area on the layout. Previously I had just stone pier type posts, but moved to this combination of bridges types. The rust colored bridge portion is 4 kitbased MTH bridge segments. The black section are made from Atlas HO girder bridges turned upside down over a wood support "beam" The piers are MTH graduated piers cut to fit. 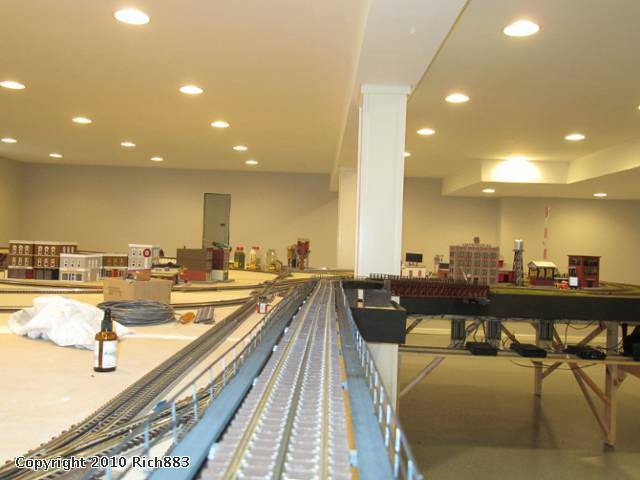 The walkways are scratch built with strip wood and plastruct rail. Good looking bridge. Getting ready to do a simular project myself. 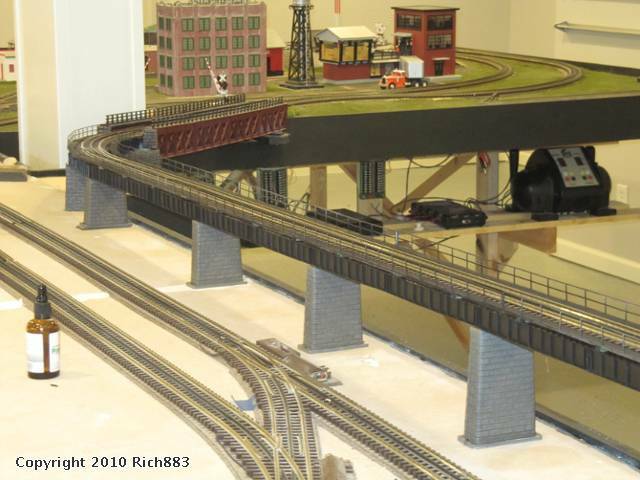 Scenic Express sells an O scale girder bridge plate.